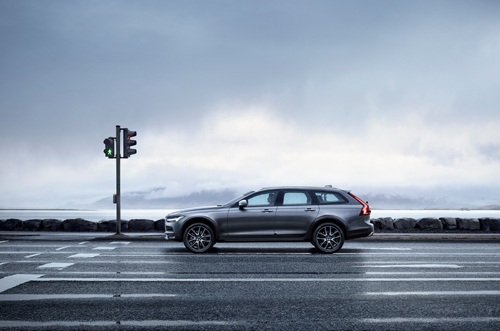 2016 – Volvo V90 Cross Country on Sæbraut in Reykjavík on Iceland. Sæbraut is a coastal road in the center of Reykjavík, the capital of Iceland. Sæbraut means in Islandic Sea highway. Close to this location, you will find a sculpture called Sun Voyager (Icelandic: Sólfar), a work by Jón Gunnar Árnason, located next to the Sæbraut road in Reykjavík, Iceland. Sun Voyager is a dreamboat, an ode to the sun. Intrinsically, it contains within itself the promise of undiscovered territory, a dream of hope, progress and freedom. There has been some dispute about the eventual location of Sun Voyager on Sæbraut in Reykjavík. Some people have complained that the ship does not face west, towards the setting sun in accordance with the concept behind it. 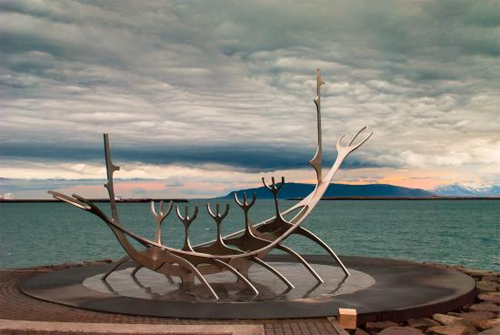 The original intention had been for Sun Voyager to be situated in the west part of Reykjavík, for obvious reasons. 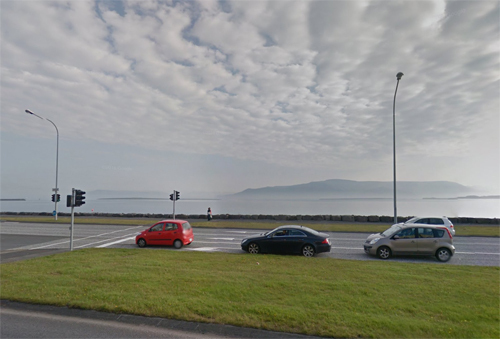 Jón Gunnar’s original idea had been for the ship to be placed on Landakot hill, the prow facing the centre of Reykjavík and the stern Landakot church. Another possibility was that it could be placed by the harbour in the centre of Reykjavík on a specially constructed base. The coastline by Ánanaust nonetheless eventually came to be Jón Gunnar’s preferred location for the ship. 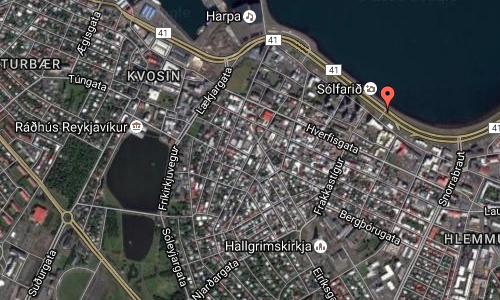 Unfortunately, changes in the town planning for Reykjavík came to rule out this location. In the end, the final decision was taken (with Jón Gunnar’s consent) that Sun Voyager should be located on Sæbraut on a small headland (which the artist jokingly called Jónsnes: Jón’s Peninsular). Jón Gunnar was well aware that when bolted to its platform, Sun Voyager would be facing north, but felt that that made little difference when it came down to it. Reykjavík is the capital and largest city of Iceland. It has a latitude of 64°08′ N, making it the world’s northernmost capital of a sovereign state, and is a popular tourist destination. 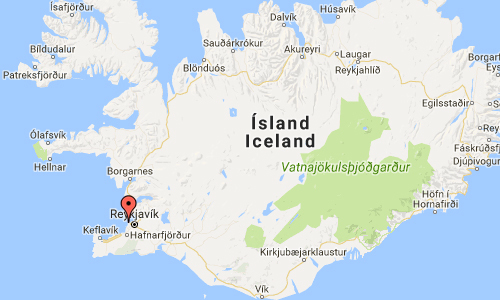 It is located in southwestern Iceland, on the southern shore of Faxa Bay. With a population of around 120,000 (and over 200,000 in the Capital Region), it is the heart of Iceland’s cultural, economic and governmental activity. More information at en.wikipedia.org/wiki/The_Sun_Voyager, www.visitreykjavik.is and www.visiticeland.com.